PSNews – Vietnamese and French health experts exchanged professional experience in cancer control and prevention at the second Vietnam –France cancer conference with a focus on lung cancer opened on November 7 by K (Cancer) Hospital, Hanoi. Delivering his opening speech, Permanent Deputy Minister of Health Nguyen Viet Tien stated that cancer is a burden for countries around the world, especially poor and developing ones. At the second Vietnam –France cancer conference. According to Tien, in Vietnam, cancer cases are increasing nationwide, requiring special attention of the whole society. By the time of 2018, 164,671 new cancer cases and 114,871 cancer deaths have been reported. Currently, more than 300,000 patients are living with cancer in Viet Nam. “Most patients with cancer in Vietnam are hospitalized in the later stages of cancer, making it more difficult and more expensive to treat,” Tien added. During the event, Vietnamese and French health experts exchanged professional experience in cancer control and prevention, with a focus on lung cancer. According to experts from K Hospital, lung cancer is one of the most common cancers worldwide but it is difficult to detect. The mortality rate of the patients with lung cancer is 80-90%. Unfortunately, the ages of patients with lung cancer are going down. Recently, a 15 years old boy with lung cancer died. According to experts, smoking or passive smoking has been identified as a major cause of lung cancer among young people. K (Cancer) Hospital Director Tran Van Thuan said lung cancer is the most common cancer among both men and women. According to GLOBOCAN 2018, about 2.09 million new lung cancer cases and 1.76 million lung cancer deaths are recorded every year in the world. 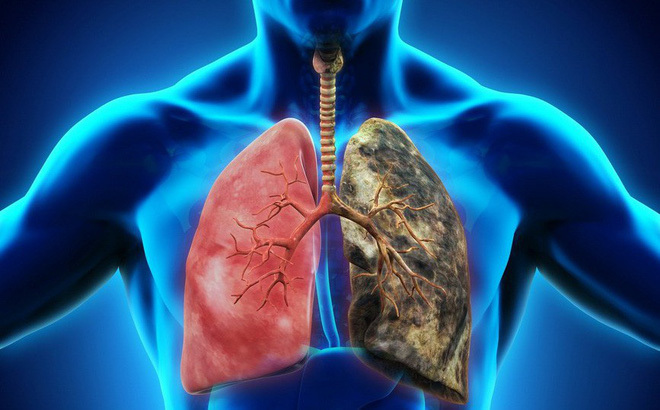 Vietnam sees 23,667 new lung cancer cases and more than 20,000 deaths annually. So, Thuan recommended that the health sector and the whole society should pay more attention to cancer prevention and treatment while improving the public’s awareness of preventing, detecting and treating lung cancer. During the three-day event, from November 7 to 9, participants will also share information about lung cancer and experiences in curing the disease, as well as present the results of the latest research on lung cancer risks, invest more in facilities of the health sector and continuously innovate diagnosis and treatment methods.